Preferably below 35 years for all positions. Desirable: 1. Experience in Project Proposal writing and preparation of Web Content Writing, Social Media Content Development, technical writing, Film Making and Editing. 2. Research experience. 3. Computer knowledge (word, excel). 4. Experience in organizing workshops/seminars and conducting fieldwork, interviews and survey. 1. Assist faculty in teaching and research 2. To write project proposals for various funding agencies. 3. To execute the various research, training and education projects as per the terms and conditions of the sponsors. 4. To monitor project activities, expenditure, submit periodic reports to the sponsors. 5. To liaison with sponsors, ministries and external experts. 6. To carry out administrative / academic work with regards to the project activities and COEPPG events. Candidate must carry his/her complete CV along with all original academic testimonials and one set of self-attested photocopy of all relevant documents during the time of interview. No TA/DA will be paid to the candidate. For any further query, contact: Sri Uma Shankar, Personnel Section (personneldept@iimkashipur.ac.in). Candidates may also send their CV to this email: personneldept@iimkashipur.ac.in in advance mentioning their Skype ID and contact numbers. Specific details about required qualifications, job responsibilities etc. Academic Associate (Communications Area) - M.A. Academic Associate Vacancies – Last Date (Interview) 16 May 2019 (Kashipur, Uttarakhand), Indian Institute of Management Kashipur (IIM Kashipur) recruits Academic Associate Posts. Candidate with LLM, MSW, Post Graduate, M.A. experience can apply. B.Tech/BE or equivalent degree in Civil Engineering with a minimum of 60% marks and at least 5 years’ experience in a Central/State Government Departments/ Academic / Research institutions / other reputed organization. Candidates should have work experience in planning, construction and maintenance of buildings along with knowledge of CPWD working procedures. He should also be proficient in planning, estimating & tendering preparation of BOQ as per CPWD manual. Candidates having experience in Software and working knowledge of computer applications related to office work, designs and drawings will be preferred.  Interested candidates are requested to apply online in the prescribed format only.  Hard copy of application need not be sent, however candidates are requested to take print out of their online applications and Xerox of documents. 1. Mere fulfillment of minimum eligibility criteria is not a claim for interview call. 2. Before applying candidates are requested to assure to check their qualifications and experience fulfilling as per the advertisement. Application deadline- 12th May 2019. 3. Initially contract for 11 months and may be extended for two times only. 4. The positions are purely on contract basis and no other benefits will be given. B.Tech/BE or equivalent degree in Electrical Engineering with a minimum of 60% marks and at least 5 years’ experience in a Central/State Government Departments/ Academic / Research institutions / other reputed organization. Candidates should have work experience in managing the construction activities of system and utility. Person should have adequate knowledge of installation, Testing & commissioning of Mechanical system. Such as HVAC Plumbing, STP, WTP and firefighting system. He should be aware of relevant. I.S. code and guidelines for installation, Testing and commissioning of system. He will be responsible for checking of measurement produced by contractor and provide verified copy to billing engineer as per the procedure. Diploma & Degree in Civil Engineering from an institution recognized by the Central Government or State Government. Required Experience for Diploma Engineer Three years working experience in the field of civil construction. Required experience of Degree holder Engineer one Years working experience in the field of civil construction. Assistant Engineer, J.E. Vacancies – Last Date 12 May 2019 (Kashipur, Uttarakhand), Indian Institute of Management Kashipur (IIM Kashipur) recruits Assistant Engineer, J.E. Posts. Candidate with Diploma/Degree, B.E./B.Tech. experienced can apply. The candidate will be given consolidated honorarium of Rupees 5000 only per month during the said contract period. Part-Time Accountant Vacancies – Last Date (Interview) 03 April 2019 (Kashipur, Uttarakhand), Indian Institute of Management Kashipur (IIM Kashipur) recruits Part-Time Accountant Post. Candidate with B.Com, M.Com preferred experience can apply. MA or equivalent in Economics from reputed institution and preferably a first class in Masters or with M.Phil. Academic Associates will be given a stipend of Rs. 20,000/- to Rs.30, 000/- per month depending on qualification, experience, merit and performance in the interview/test. Support will be provided for attending one national conference in a year. Academic Associate (AA) will assist the faculty in teaching and research related activities. Shortlisted candidates will be interviewed in person, by phone or via Skype. Candidates are requested to provide their Skype ID and phone number in the application. How to Apply: Apply online on the following link(s): Link 1 or Link 2 Last Date of Application: 20th March 2019. Academic Associates Vacancies – Last Date (Interview) 20 March 2019 (Kashipur, Uttarakhand), Indian Institute of Management Kashipur (IIM Kashipur) recruits Academic Associate Post. Candidate with MA, M.Phil. experience can apply. 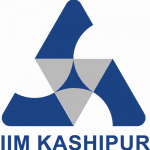 IIM Kashipur commenced operations from July 2011 under the mentorship of IIM Lucknow. The institute offers Post Graduate Programme in Management (PGPM), a two year full time residential programme. The rigorous curriculum seeks to instil a passion for knowledge and ability to apply that knowledge to real life scenarios. The programme lays emphasis on all-round personality development and inculcates the values of leadership and integrity.